Review: Netflix is relying on a marathon binge again, with a ridiculously long 80-episode series, competing with the likes of Accidentally in Love, The Rise of Phoenixes and Undercover Law. 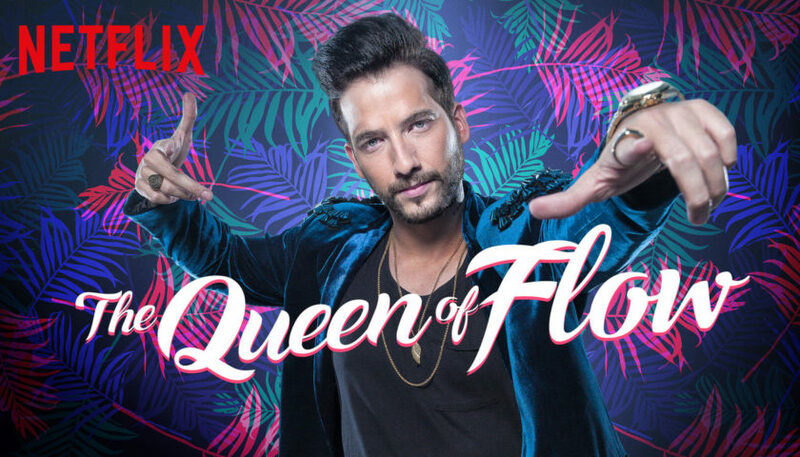 Audiences like a long commitment with these shows (judging by the positive comments on the site), so here we are with Netflix Columbian series The Queen of Flow, or in its native language La reina del flow. Rather than spending many late nights trying to serve a full review, here are my first impressions of the first three episodes. Feel free to comment below of what you think of the rest of the season. Netflix’s The Queen of Flow is a story of revenge. Songwriter Yeimy Montoya (Carolina Ramírez) is in prison, and despite nearly serving her sorry time, she is fuelled with anger due to her circumstances, even though she is about to be free. Meanwhile, there is a global superstar taking centre stage; the screaming fans love Charly Flow (Carlos Torres), and you can sense his arrogance backstage as he laps up all the glory. Charly Flow and Yeimy are linked from childhood. The Queen of Flow takes us back to their school days, where Charly was an up and coming beloved rapper on the streets, while shy Yeimy is an unknown songwriter. Yeimy wants revenge on Charly because he is one of the people responsible for the death of her parents but has somehow landed in prison, whilst he enjoys the fruits of fame, suspiciously using similar lyrics to what she wrote. In episode one, there is an assassination attempt on Yeimy before she is freed because she has information that is damaging to Charly and his acquaintances. The opening episodes of The Queen of Flow succumb to the days of childhood and naivety, wrapped with the dangers of Colombian gang warfare. The whole story feels tragic, with the talented youth getting caught up with the dangerous habits of the adult world. I’m interested to see how young Yeimi grows into her role and recovers from the death of her parents, and how she is eventually wrongfully imprisoned. I also wonder if there is more to Charly than the greedy version we are led to believe. I’m sure more will unfold in the 80-episode series, especially with Yeimi out of prison. I’m looking forward to lazily diving into this series and the drama that comes. Make sure you comment below with thoughts on the story so far. Also, if you have finished it, congratulations on completing the rather long journey!